Things in life, unfortunately, do not always go as planned. Sometimes due to certain circumstances (medical emergency, unemployment, financial disaster, etc.) you may find yourself with very high credit card bills. You know that there is no way you can afford the minimum payments. Unfortunately you know that your only option is to stop making payments resulting in your accounts to be charged off! I know this is a very tough situation! The idea of this post is to give you some tips of some smart ways to handle a charge off situation which would be the least damaging to your credit. PLEASE NOTE: I am not an attorney or a debt adviser, so none of the tips given in this post should be taken as legal advice. Please consult an attorney to discuss your situation. When it comes to credit, the question would be: How many accounts are in charge off status, rather then what the total amount owed is. Therefore, try to pay the smaller balances in full. That would be a better option than knocking a little bit off a large balance while still leaving a balance that will charge off. You have only $1,000 available in your bank account to make payments. Paying the $1,000 for card A ($5,000 balance) and bringing down the balance to $4,000, would still leave the card to charge off at the end. And the total number of accounts which will be charges off would still be five! But if you pay up card D in full ($500) and card E in full ($500), then these accounts will be marked paid as agreed. This would leave you only with cards A, B,C, to charge off. So the total accounts that will charge off would only be three. Another strategy to minimize accounts that will charge off is to combine balances through balance transfers. If possible, try to balance transfer the balances from account C ($1,500), D ($500), and E ($500) all into account A and B; Even though accounts A and B will charge off with a bigger balance. But the total accounts that will charge off will be two instead of five. This will be less catastrophic in the long run for your credit. Please keep in mind that this idea is only an overall idea regarding protecting your credit. Please consult with a debt attorney about your situation. 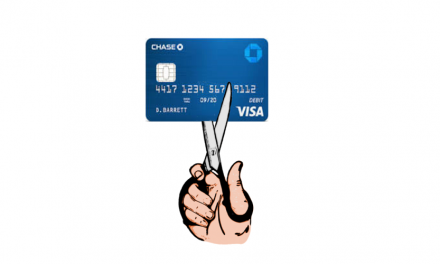 In a case of a charge off, the credit card issuer might close down all your credit card accounts. They will even do it to the accounts that are in good standing. For example, if you have three American Express cards and you end up charging off one of them, then American Express might close down all of your accounts. The problem is that once you charge off, then your credit will be shot and no new banks will want to approve you. So therefore, before you charge off make sure to get approved for at least three credit cards that are NOT from the same credit card issuer that you will end up charging off. This will help you build your positive (with the open accounts) and help you slowly age the negative items. By doing this you would ultimately get your credit score fixed faster! We all hope never to be in such a situation, but if unfortunately, you are in a situation where you need to have your credit card accounts charge off, at least play smart. This will help you with some damage control for your credit. NextFor How Long Will A Late Payment Affect Credit?